Modern life has many advantages, however it also presents disadvantages – the main one being “Stress” – a risk factor for many health issues. Do not let it get the best of you and come to relax in our marvellous Polynesian islands equipped with incredible Spas, which will make you forget all your pains. Our more beautiful hotels have exceptional Spas in idyllic surroundings, and invite you to live new experiences of relaxation. 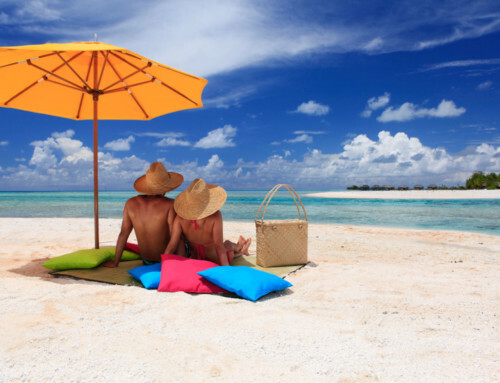 Alone or in a couple, you will taste the legendary Polynesian sweetness ! You will be offered an infinity of care treatments according to your wishes and your needs in absolutely divine settings. You will be dazzled by incredible panoramas of the landscapes of our islands. 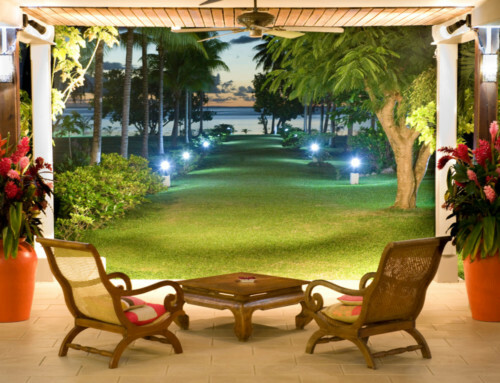 You will enjoy wonderful views of the lagoon, be surrounded by lush vegetation, etc. The magic of Tahiti and Her Islands, their ancient traditions and their nature with inexorable charm are in the care treatments dispensed by our marvellous Spas. The natural products of our islands are used in various forms: baths with exotic flowers or fruit flavours, body scrubs with black sand or grated coconut, massages with essential oils or with hot stones, wraps with banana tree leaves, etc. A subtle mixture of colours and scents for the greatest happiness of your well being ! 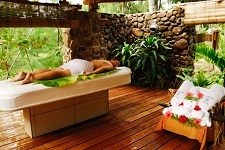 You will be given the secrets of Polynesian beauty and will be marvelled with the freshness and pleasure of our Spas. Living the experience with your partner will only be more magical to you! The absolute romanticism of a river bath for 2, a “Taurumi” duet massage … give yourself a romantic holiday in the heaven senses and plenitude ! 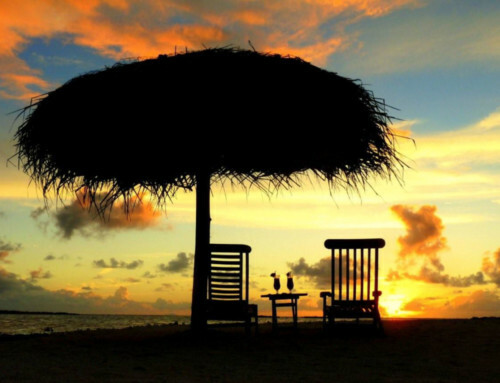 You have the choice of relaxing in Tahiti, Moorea, Bora Bora, Taha’a, Huahine, Tikehau, and Manihi !